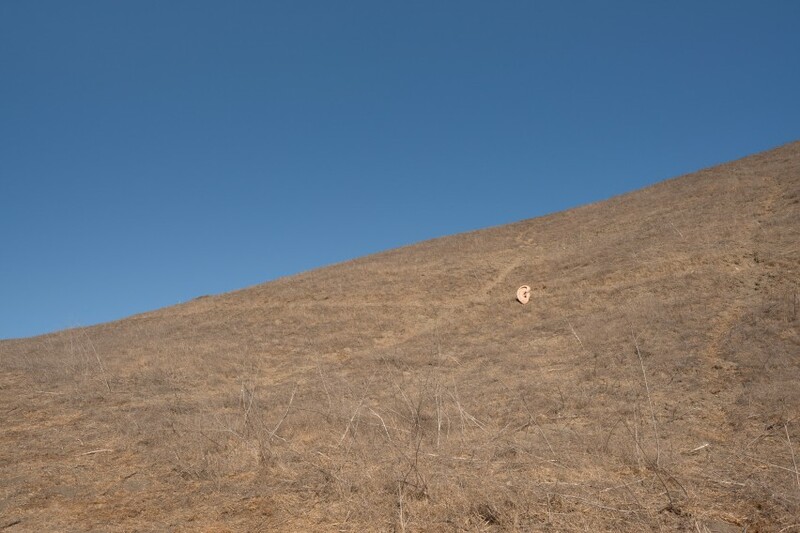 This series of photographs grew out of my exploration of experiencing an absence in the hills across my studio in Lincoln Heights. Working through fragments of historical photos and narratives about a movie studio and theme park that once stood adjacent to these hills in the 1910’s, I felt compelled to return to these hills to explore the absence of development and the stillness of the landscape. 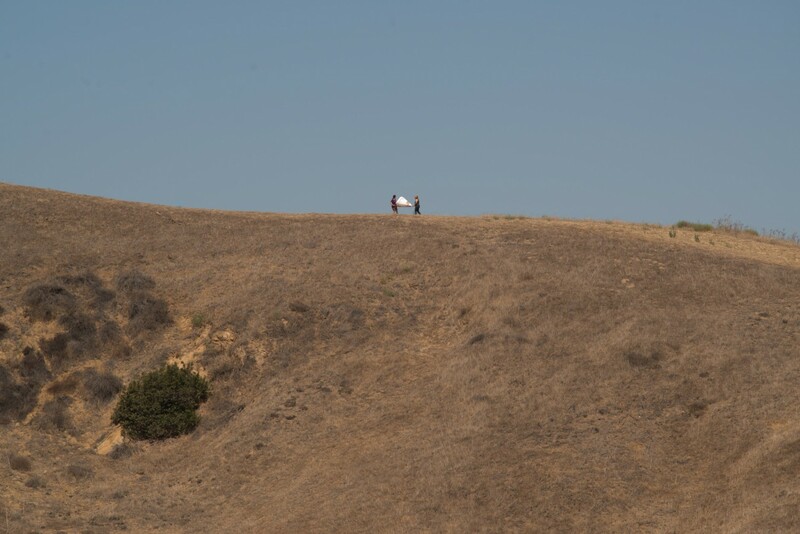 The Ascot hills, as they are now known, are the only hills without any development on them, they represent for me the natural landscape of Los Angeles, they hold an optimistic spirit that I associate with inspiring farfetched ideas and big dreams. 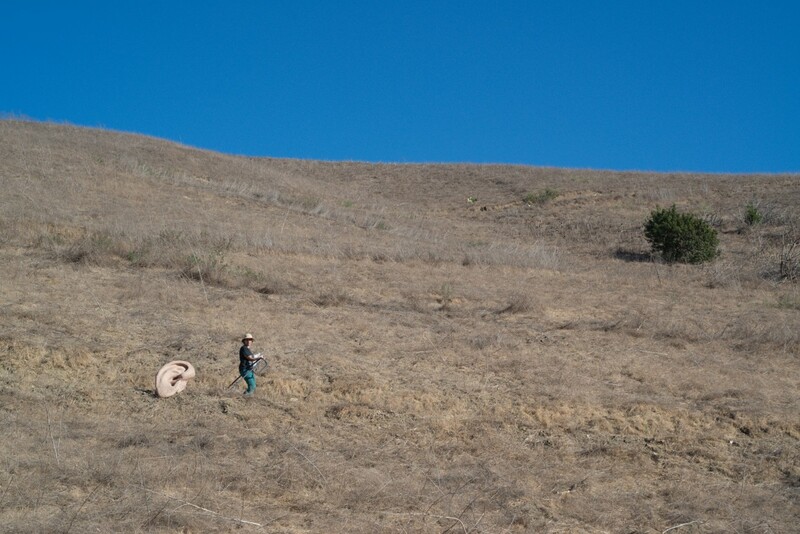 In these photographs, I used an oversize paper-mache eye, ear and nose prop and carried them up the hiking trails and placed them into the landscape. The placement and composition become particularly important in this work. I wanted to give each hill a sense, and by doing so bring the landscape into the realm of being human-like. The landscape as a fragment of face, and a face as a fragment of a whole.. Each photograph aims to abstract the landscape and shift it through the proportions of the sky and land and by the play of scale with the props. Although I consider these works to be a part of the Selig Zoo body of work, the photographs exist on the periphery.